Looks like even a team with a losing history can make you a billionaire. 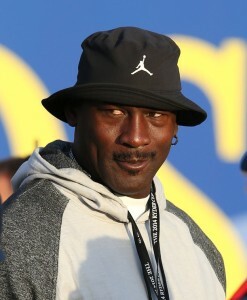 Michael Jordan joined another elite club on Monday by being named to the Forbes Billionaire List. Although the Jordan brand from Nike paid his Airness about $90 million last year, it’s his majority stake in the NBA franchise Charlotte Hornets that helped propel Jordan onto the list. Jordan’s net worth shot up last year after his ownership of the Hornets went from 80% to 85.5% last year. After Steve Ballmer bought the Los Angeles Clippers for $2 billion, the value of the Hornets (formerly the Bobcats) went up to $500. The Hornets, who had a losing record for many years when Jordan first purchased some ownership, will only become more profitable as they continue to improve. The team made the playoffs last year, and hadn’t been to the postseason since the 2009-2010 season. They’re currently sitting at 24-33 in the Eastern Conference, but still have a good chance of making it back to the playoffs if they can turn things around soon.